HTPC, which stands for Home Theater PC, is becoming a popular trend in the field of home entertainment. The integration of the PC, or Laptop, with a home theater and an HDTV promises a better-than-ever audio-video experience. That, however, is only if you know how to build one, and set it up for optimum performance. This ultimate HTPC guide will familiarize you with some of the basics of HTPC, ways to build an HTPC right from scratch, and what components you should use. Also, there is a buyer’s guide to help you pick up the best branded HTPC system, and help adding some extra functionality to your existing Home Theater PC. If you’re new to the concept of Home Theater PCs, the very first question on your mind would be, "What is an HTPC?" In the simplest of words, an HTPC is the integration of a home theater with a PC to provide a more wholesome audio and video experience. Surely, that one line explanation isn’t enough to explain it all. So, we have here a compilation of articles that will fully explain the concept of HTPC in detail. They will also answer one of the more frequently heard questions, "What distinguishes an HTPC from a regular PC?" If you’re not sure whether an HTPC really makes for the right choice, we’ll also update you on the wonderful benefits of having such an integrated system. When you’re convinced about setting up an HTPC, the first thing you’ll need to look at is your existing CPU to see whether it has the capabilities required for the extended performance. More information on this can be found on the last link. HTPC Demands: What CPU Do I Need? and within budget. If you’re environment-conscious, and would want to build an HTPC that is low on power consumption, we’ve got an article on that, too. Finally, don’t forget to read about the software setup part of the project, because it’s the software that’s going to make it all work. The most important consideration at the time of building a Home Theater PC is the choice of components that should go into it. To begin with, you’ll need an HTPC case. There are a lot of available options here – ATX, ITX, Fanless cases, etc. Read through our buyer recommendations, and you’ll have a better idea of which HTPC case is ideal for you. Once you’re done choosing the case, you can continue reading the buyer guides on other significant components, like motherboards, video cards and sound cards. Ultimately, the performance of your HTPC will depend on the components you choose, so learn in detail about each component to make an informed buying decision. What Is the Best HTPC Remote? While building your own HTPC certainly has its unique advantages, there is no denying that building one is a lot of work and maybe it’s not something meant for everyone to do. Also, if budget is not a constraint, but time is, buying a commercial HTPC makes more sense. 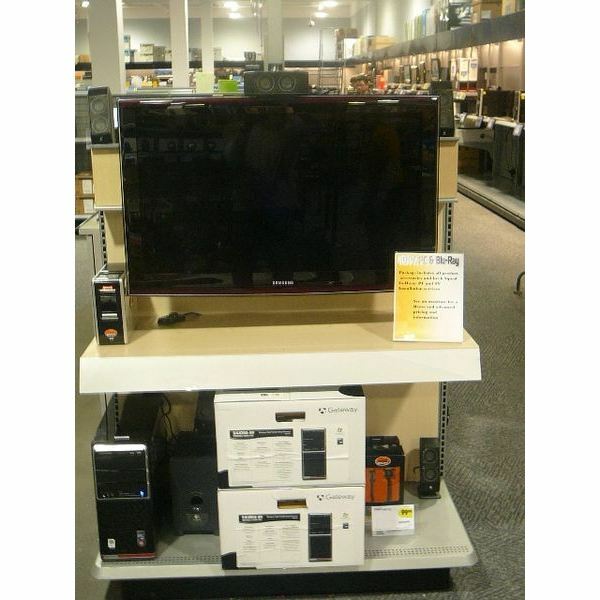 The market is full of Home Theater PCs and laptops – each with its own respective advantages and disadvantages. Here are comparative analysis and reviews on some of the best performing Home Theater PCs and Laptops. Who doesn’t love a bit extra? How about extending the reach of your HTPC to a Blu-Ray Player; or using an HDTV as a monitor. Or, why not make your HTPC act as a central media server for the entire home? There are endless possibilities to get more out of your existing HTPC. Here are a couple of good places to get started. If you’ve read through each and every piece of information offered through this ultimate HTPC guide, you probably won't have any problem setting up your Home Theater PC, and experiencing a whole new world of entertainment. Nonetheless, if you feel we’ve missed out on something important, or there is something that could make a good addition to this guide, leave a comment below. Also, be sure to go ahead and bookmark the article to return for more information.